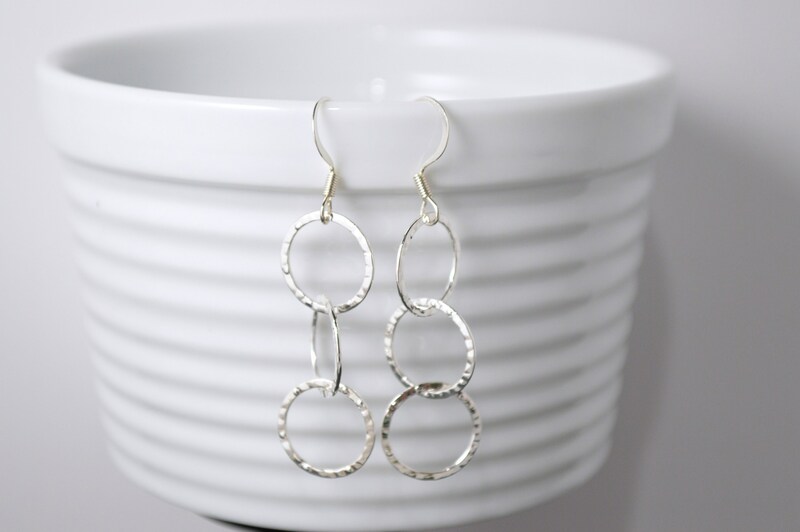 These long elegant drop earrings feature 4 very thin and delicate 12mm open circle hoops that are hammered on both sides and linked together giving this piece a swivel effect. 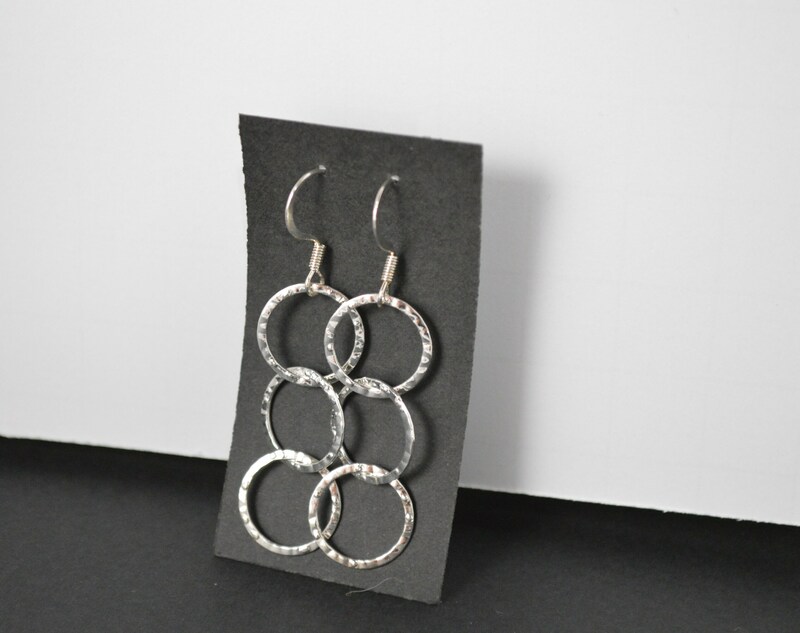 They are dipped in shiny sterling silver and highly polished. Wear these out for the evening or dress them down with a pair of blue jeans. 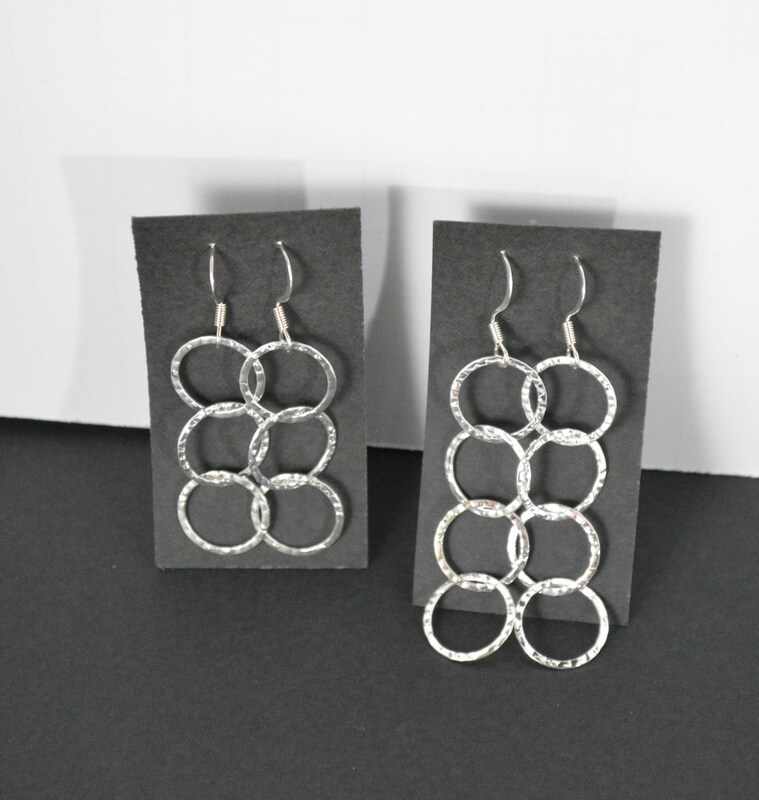 Either way, see how they easily reflect light and sparkle. They are very lightweight too! 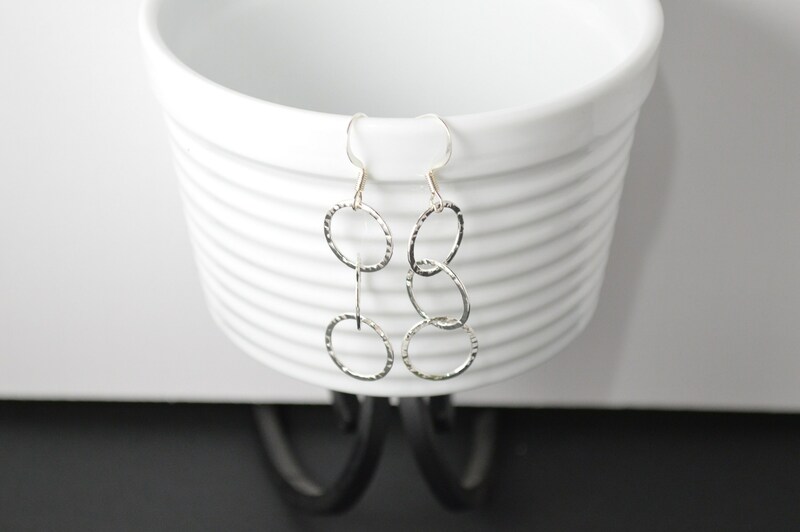 You will definately feel chic wearing these sleek beauties! * These can be custom ordered in one or two drops as well; just message your request and I will reply with your adjusted cost if applicable.